I took the train Santiniketan Express from Howrah at 10.10 am to go to Santiniketan, my parents’ present home. It is a place where my parents shifted to nearly 20 years back from their earlier home of nearly 25 years, Jaipur. They decided to spend the rest of their life at this idyllic hamlet called Santiniketan, set up by Rabindranath Tagore more than a century back in present West Bengal. It all started with my father, Asok Kumar Das, an art historian, being invited to the Kala Bhavan, the Fine Arts college of the Visva Bharati University, Santiniketan, as a Visiting Professor in 1994. 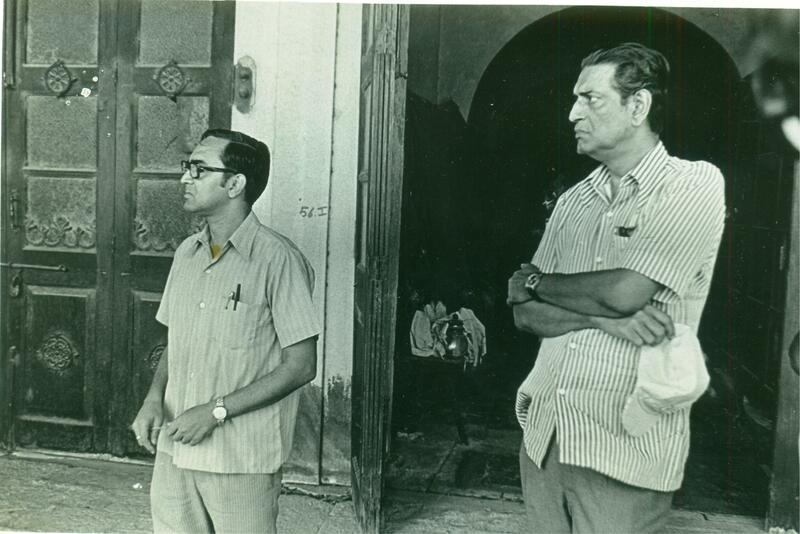 He was again invited in 1996 to honour the first Satyajit Ray chair of the University. An offer he could not resist because of his close relationship of 20 years with the great film-maker, Satyajit Ray. This was my father’s way of paying a personal tribute to Ray. And, which place better than Kala Bhavan? Home to some of the most important artists of India Nandalal Bose, Ramkinker Baij, Benodebehari Mukherjee, K G Subramanyan, Dinkar Kowshik, Sanat Kar, Jogen Chowdhury and many many more for over a century including Ray himself. So off my father went, accompanied by my mother, in 1996. My mother, Syamali Das, is a Rabindra Sangeet singer, trained first at Dakshinee and then Rabitirtha, Calcutta (Kolkata), for more than a decade. 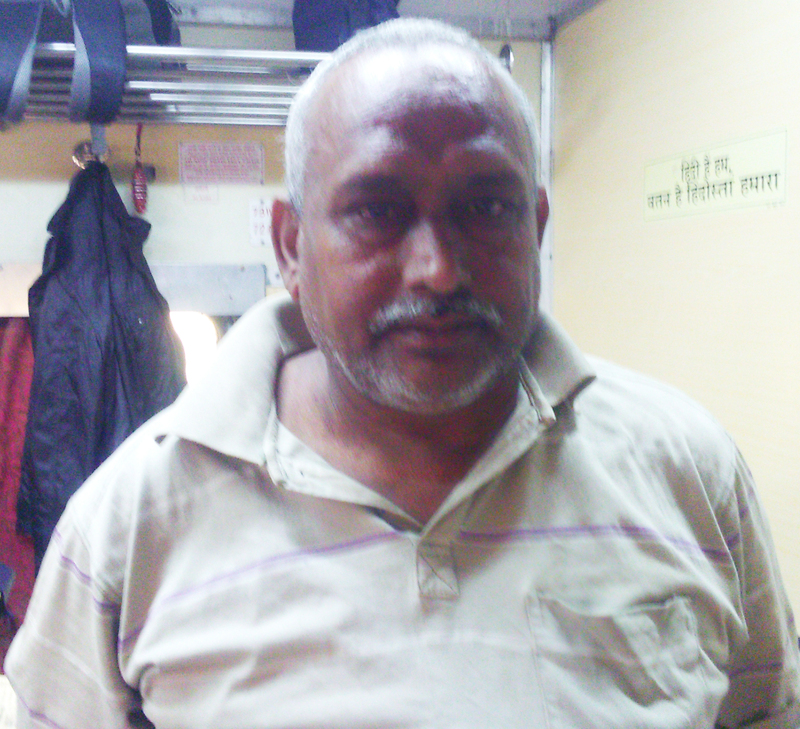 She had lost her father at the age of only 6 years in a road accident at Nagpur. Having witnessed several unforeseen upheavals in her life she finally found solace, contentment and encouragement at Santiniketan and felt at home there. Walking along Purvapalli, the oldest and most beautiful part of Santiniketan, she could sing aloud the Rabindra Sangeet she had learnt, amongst the huge trees that hugged her pain and confusion within themselves and gave her back love, colour and beauty. You have to be there to feel Nature fold you within herself – of course you have to let go and remain calm, and then you will hear talk to you peacefully and lovingly. That’s what Tagore probably found at Santiniketan when he visited it as a child with his father. That’s probably what he gave back to Santiniketan: beauty and truth. Those who are not aware of Rabindra Sangeet or music of Rabindranath Tagore would be surprised to know that Tagore wrote and composed over 2000 songs in his lifetime. These songs are written in Bangla, the language of the Bengali community spoken by nearly 25 crore people globally. His music is still sung and appreciated all over the world. Till 2001, Visva Bharati University owned the copyright of the style and music of Tagore’s songs, no changes could be made to the original style of singing and musical instruments that were played with it. But post 2001, there have been several experiments that have made Rabindra Sangeet gain popularity with a new generation spread across the world, easily brought together virtually through digital technology. One of the biggest admirer of Tagore’s music was Mahatma Gandhi, Father of the Nation, who peacefully led India to her Independence from the British. 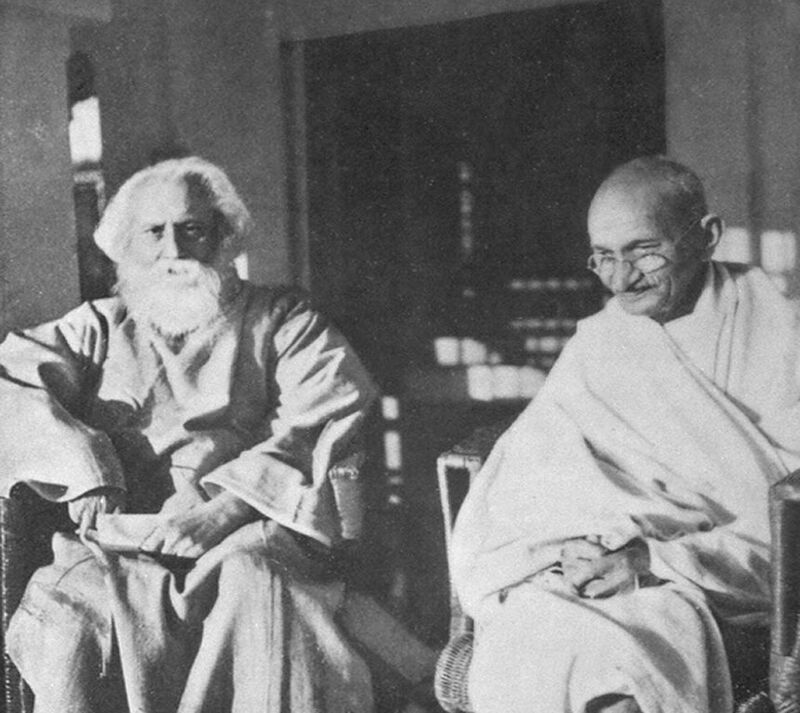 Though the political and ideological views of Gandhi and Tagore differed greatly, Tagore was the first person who called Gandhi a ‘Mahatma’ or a ‘great soul’. He said at “Gandhiji’s call India blossomed forth to new greatness, just as once before, in earlier times, when Buddha proclaimed the truth, of fellow feeling and compassion among all living creatures.”And Gandhiji called him the Great Sentinel or ‘Gurudev’. Even today, Tagore is revered as Gurudev by not only Bengalis but most of the world. He is the first non European and Indian to have been awarded the Nobel Prize of Literature in 1913 for ‘Gitanjali’, the foreword to which is written by none other than William Butler Yeats. There are several interesting meetings between Tagore and Gandhi, the latter visited Santiniketan four times in his lifetime. The last time Gandhi met Tagore was in 1940 when he visited with his wife Kasturba and the ailing Tagore entrusted the care and nurture of his ‘abode of peace’ to Gandhi. The photo below is a record of such a historic meeting. Tagore passed away in 1941. Gandhi’s admiration of Tagore’s music was not confined to personal interest alone, he always found a lot of courage and direction in troubled times concerning India’s struggle for Independence and violence during communal riots in the song – ‘Ekla Chalo Re’ (walk alone). This song was written by Tagore in 1905 along with ‘Amar Sonar Bangla’ (My Golden Bengal) in protest against the 1905 Partition of Bengal by the British. While Amar Sonar Bangla’ became the National Anthem of Bangladesh in 1971, ‘Ekla Chalo Re’ has been reverberating in the minds and hearts of people since decades. Nearly every Bengali child is taught this song along with rhymes and lullabies – those who understand the lyrics when they sing it aloud usually get goosebumps! The towering Rabindra Sangeet exponent and my mother’s teacher Suchitra Mitra’s rendition of ‘Ekla Chalo Re’ is still the most widely acclaimed and heard. However, the renditions by Kishore Kumar, Swarathma featuring Lakhan Das Baul and Amitabh Bachhan in the film ‘Kahaani’ (this version has some lyrics in Hindi too) are also much adored. And, most of you would be aware that India’s National Anthem, ‘Jana Gana Mana’ had been composed by Tagore and sung at the 1911 Calcutta session of the Indian National Congress. It was adopted by the Constituent Assembly of the Republic of India as her National Anthem in 1950. For the Amitabh Bachhan fans there is a slower, more contemporary version of the National Anthem shot at Tagore’s home at Jorasanko, Calcutta (Kolkata). A different version of the National Anthem brought up a whole generation of Indians, it was created by Bharat Bala productions and brought together India’s most prominent exponents of its Classical and Folk music traditions under the young leadership of A R Rahman. The first silent National Anthem has been created by Reliance Big Cinemas and brings out a whole new dimension to the meaning of the song by Tagore. In this rendition we find deaf and mute children “sing” ‘Jana Gana Mana’: tears in your eyes and pride in the National Anthem and in these lovely children are guaranteed. Ray joined Santiniketan in 1940, Tagore’s last year of his life. 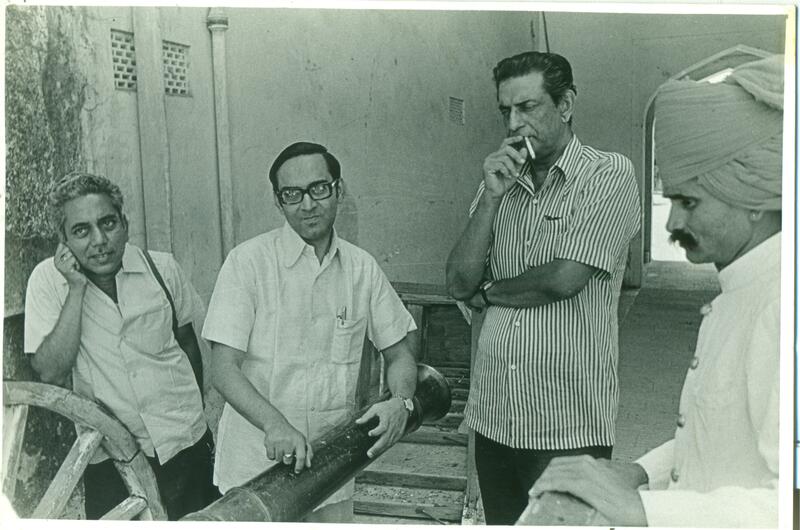 Binode Behari Mukherjee, the Bengal School of Art stalwart, was Ray’s teacher and guide at Kala Bhavan. Ray paid a truly artistic tribute to this genius through his film ‘The Inner Eye’ in 1972. It is worth mentioning that Binode Behari Mukherjee was born with a partial visual impairment and lost his complete vision at a young age but this did not deter him from continuing with his startling creations. You will be amazed how this blind artist felt forms and textures with his hands and created these masterpieces! It took one of his most talented students to recognise his inner connection with the Supreme Creation and make this film, do watch if you can get a copy of ‘The Inner Eye’ – it is indeed a labour of love. As the Acting Director of Indian Museum, my father came into contact with Ray in 1971 at a Calcutta reception when he was being presented with the Star of Yugoslavia. They kept in touch but a close relationship began in 1977 when Ray requested the City Palace Museum, Jaipur, for some arms required for the shooting of the film ‘Shatranj ke Khiladi’ – The Chess Players. My father was now the Director of the Museum at Jaipur and could happily lend these arms for the film. He has several stories related to the great accuracy and attention to the minutest details paid by Ray during selection of these arms. This bond, strong by now, stayed till Ray passed away in 1992. The 32 handwritten letters of the great man are still with our family, the last written informing my father that he has just received the news that he will be awarded the Honorary Oscar for Lifetime Achievement by the Academy of Motion Picture Arts and Sciences. Popularly known as the Oscar, this award was given to him “in recognition of his rare mastery of the art of motion pictures, and of his profound humanitarian outlook, which has had an indelible influence on filmmakers and audiences throughout the world.” It was presented to him by one of his favourite actresses Audrey Hepburn. Sadly, he was too unwell to receive it directly and conveyed his acceptance via a video during the Awards ceremony. Thus, a beautiful human bond came to an end though the ethereal one with the great master continues. 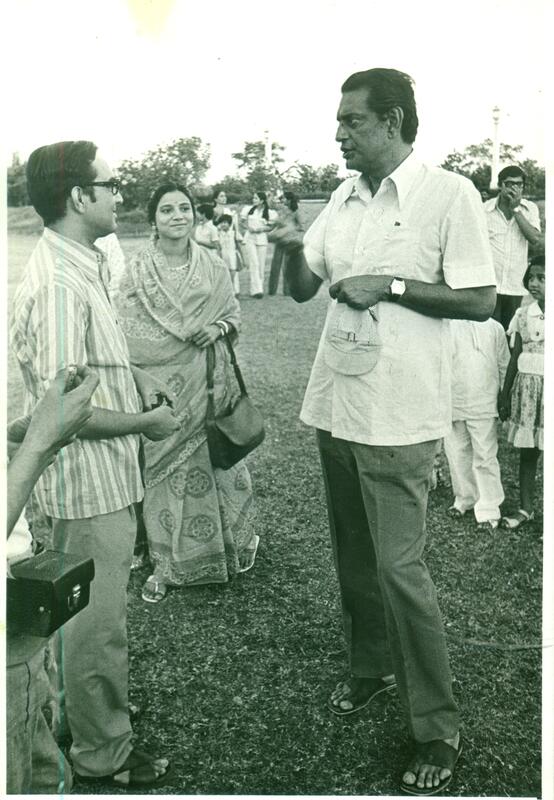 All the black & white photographs in this blog have been taken by Sandip Ray, the filmmaker son of Satyajit Ray, 1977, during the making of the film ‘Shatranj ke Khiladi’. 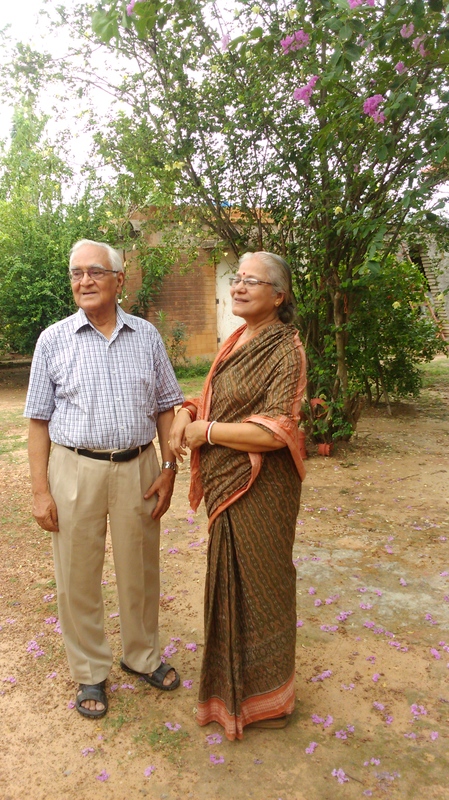 Another Nobel Laureate – this time in Economics – Amartya Sen, has his home in Santiniketan. Incidentally, the name Amartya was given by Tagore himself – Amartya means ‘immortal’. Kshiti Mohan Sen was an associate of Tagore and a respected scholar of Ancient and Medieval India. His daughter Amita was Amartya’s mother. Even till a few years back when Amitadi was still alive, we could see her sitting erect in a cycle rickshaw and attend to all her chores and errands on her own. And, till security permitted, Amartyada would be cycling around. He mentions he misses that but today’s safety norms are different. The Tagore legacy continues to unravel its spell in Santiniketan even in this highly dynamic, digital world of globalisation, conflict, tensions and violence. Next time you are stressed, worried and frustrated you could take the Santiniketan Express or travel through time through your imagination and sing to yourself – “Jodi tor dak sune keyu na aashe tobe ekla chalo re…” meaning “If no one responds to your call then keep walking alone” and you will soon feel the universe and Nature hum your song and walk with you. And, if you are aboard the 12337 Santiniketan Express from Howrah to Bolpur – Santiniketan, while sipping lemon tea, listening to Baul singers and Rabindra Sangeet singers on the train, don’t forget to say hello to my friend Shyam Sundar Mondal, he sells the yummiest Soan Papdi in the train. He befriended me in 2000 when I was ill and returning home alone in the train, till today we have remained friends. An earnest request, please do not think these musicians on the train are begging for a livelihood, they are linking you to the unique Santiniketan story. And, please do not litter the abode of peace with non – peaceful activities! OH, this is so beautiful, a journey to Santiniketan… The narrative is both personal and a part of a much larger collective memory– thank you for sharing! Also, I really want to visit soon!